South East site manager Roger Griss has a spring in his step this month after some spectacular sequinned success on the dancefloor. While Roger spends his days overseeing The Green, in Cambourne, in his spare time he is a talented dancer, having spent the past year making his way to the top of competitive ballroom scene with his wife Annette. They first took up ballroom sequence dancing six years ago, inspired by seeing other couples take to the floor on their regular cruise holidays. Sequence dancing combines the typical ballroom old time and Latin dances, including the waltz, quick-step, foxtrot, tango and the cha-cha. Roger said: "Admittedly, it's not the type of hobby you would normally associate with someone who spends their day with builders on a construction site. The world of glitzy costumes, grand venues, and intricate choreography is a far cry from the hard hats, bricks and diggers I see during my working day. That said, the company has been really supportive over the past year, which has allowed me to train for and attend competitions up and down the country." What started out as a hobby has grown to become a real passion for the couple, and since beginning to dance competitively a year ago they have amassed an impressive array of trophies. The pair have recently added to their collection of titles with wins at the hotly contested, Southport Sequence Festival, where the pair were crowned 'Beginner Dancers of the Year' and 'Open Social Dancers' new starter of the Year'. "When we first started taking lessons at a local school in Kettering it was just a little hobby so that when we went on our next cruise we could join everyone else on the dance floor," said Roger. "Now, six years on, we spend most of our spare time practising and rehearsing - typically four times a week. Obviously, now we are entering competitions, it's a big commitment, but Annette and I really enjoy it, and we're proud of our achievements so far." Regional Managing Director Nick Twine said: "We are keen to support our staff in their own pursuits and interests outside of work, and are just as pleased to hear about achievements in their personal lives as we are in their professional. 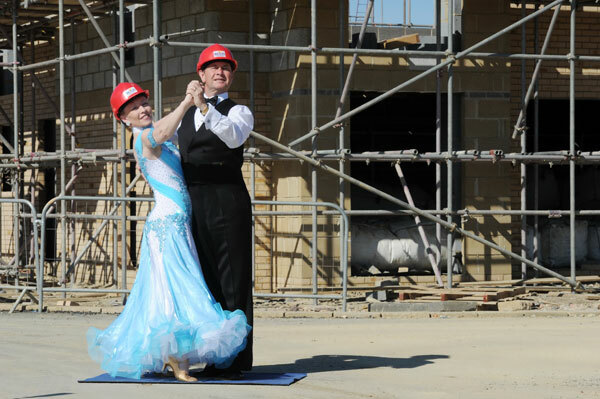 It is clear that Roger has a real talent and passion for ballroom dancing, and he shows the same dedication and commitment to his dancing as he does in his role as Site Manager. We were thrilled to hear of Roger and Annette's recent success and will continue to support and root for them in future competitions and the upcoming British championships in October."